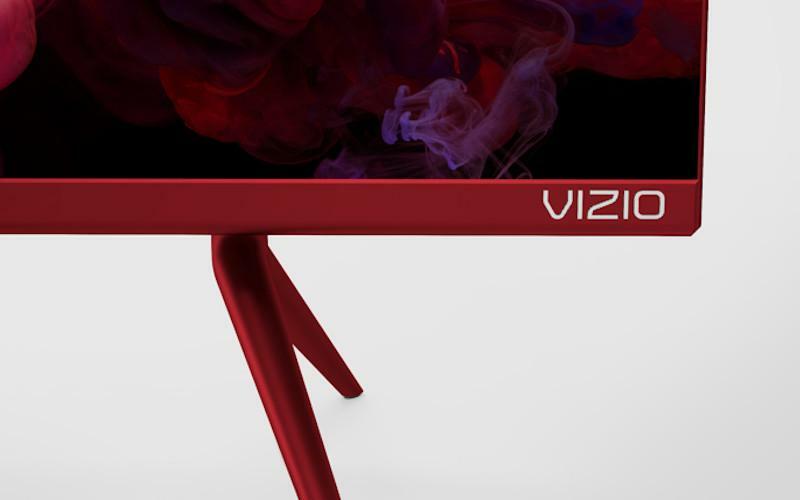 We tend to like our TV bezels to disappear as much as possible 'round these parts, but if that's not really a concern for you, and if you'd like to do your part to combat AIDS while also owning a TV unlike anything your friends have ever seen, you might dig Vizio's new collaboration with PRODUCT(RED). The new RED edition the P55-F1 sports all the same technology as its grayer brethren, and at minimum ten percent of what you pay for it will go to (RED). VIZIO and PRODUCT(RED) are excited to be partnering up this Fall for a special RED edition of the VIZIO P-Series ® 55" Class 4K HDR Smart TV (P55-F1) to help the fight against AIDS. Here are some details about VIZIO and PRODUCT(RED)'s program, as well as some assets to help you spread the word. The VIZIO (RED) Smart TV will be available this holiday season and a minimum of 10% of the purchase price of every VIZIO P-Series® (RED) 55" Class 4K HDR Smart TV will go to fight AIDS with (RED). Every purchase is part of VIZIO's commitment to provide over 375,000 days of life-saving HIV medication. With this P-Series TV, your readers will be getting expansive colors, brightness, pristine 4K detail and superior HDR performance, with support for Dolby Vision®, HDR10 and HLG. VIZIO's Ultra Color Spectrum® technology paints each scene with over one billion colors. UltraBright 1000 brings extraordinary contrast, depth, and brightness to the screen. And a high-performance Active Full Array Pro backlight with 56 local dimming zones produces picture-perfect blacks. But the P-Series isn't just about a great picture. The all-new VIZIO SmartCast OS offers unprecedented control and content streaming options, too. Browse favorite app content providers like Netflix and YouTube right on the TV. VIZIO's WatchFree™ lets viewers stream over 100 channels absolutely FREE - including live news, movies, sports, comedy, music and more. And with Chromecast built-in, your readers can use their phones to cast content from thousands of Chromecast-enabled apps directly to the TV. Support for Amazon Alexa and Google Assistant allows viewers to control the TV with voice commands, making the P-Series a perfect smart-home centerpiece. Offering a gorgeous red edge-to-edge screen design, this P-Series (RED) TV will thrill the most-demanding videophiles. When your readers shop (RED), you're a powerful advocate in the fight against HIV/AIDS. • For more information, visit VIZIO.com. • Vizio's 2018 P-Series Smart TVs Available Now at HomeTheaterReview.com.